Happy Valentine’s Day everyone! Decoist hopes that you and your significant other will enjoy a wonderful night on the town, filled with good vibes and charming romance. In honor of this sweet holiday, I thought it would be nice to give you a little decor treat. 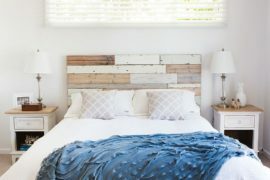 So from me to you, here are some delicious bedroom ideas that will out-sweet any box of chocolates! 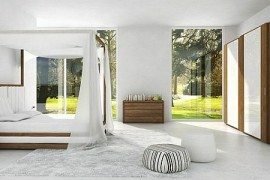 Though many of our readers only come across red and white bedrooms by reading interior design magazines every now and then, I hope you are among the crowd of avid designers who seek out the most attractive bedroom decor. 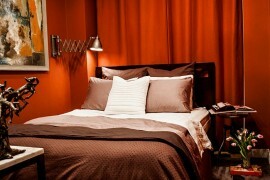 And what can be better than a vivacious red and white bedroom that’s boasting contemporary flair? 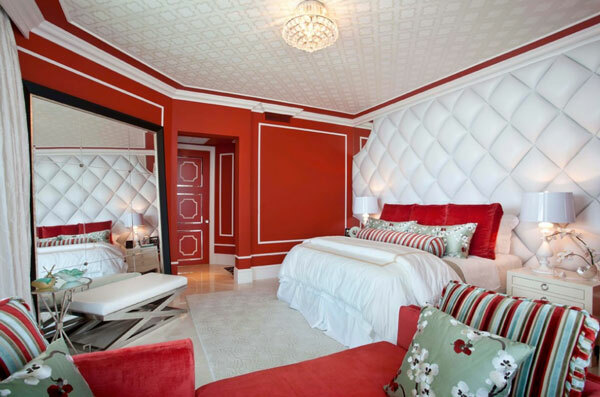 Even though the bedroom above only features an alternating red and white color pattern, it does the job so flawlessly that the room’s atmosphere comes together to create a regal impression. You don’t need other ornaments, trust me! by Tracy Murdock Allied Inc.
For the selection above, you’re going to need your imagination, as well as the ability to mentally visualize how this set of armchairs will neatly fit into your dream bedroom. 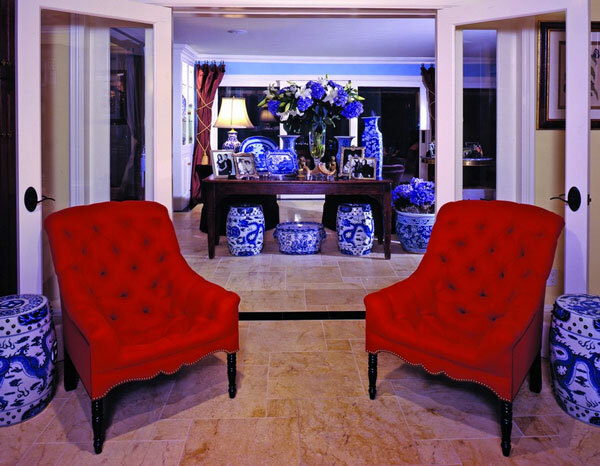 The color gives the chairs character, but the buttoned style is what enhances their sultry vibe. Though the selection above is not your typical red and white bedroom, it does introduce a new sense of empowerment, portrayed through bursts of color and unique fabric patterns. 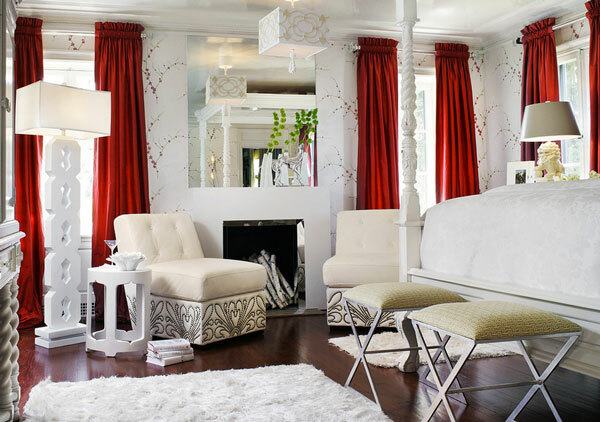 The red blanket, gradient rug and adorable lamp set add just enough red to this neutral-colored bedroom. Similar to the bedroom designed by Savio & Ravio, the grey selection above is another great example of how you can discreetly make use of the color red. Urban lofts and apartments will benefit the most from this decor idea, mainly because such rooms mark the fusion of upscale decadence and industrial edginess. 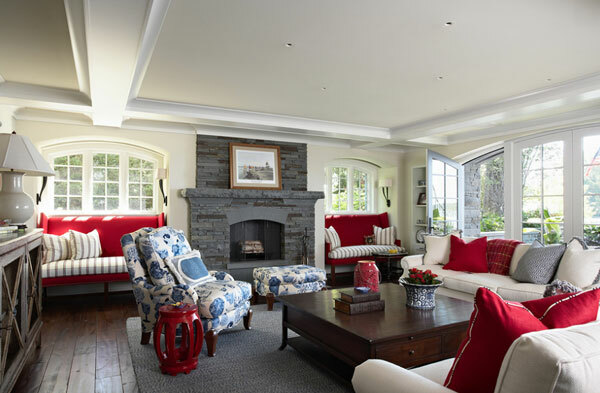 Fancy a Cozy Red Room? I’m sure you wouldn’t object to a room that provides both comfort and style. 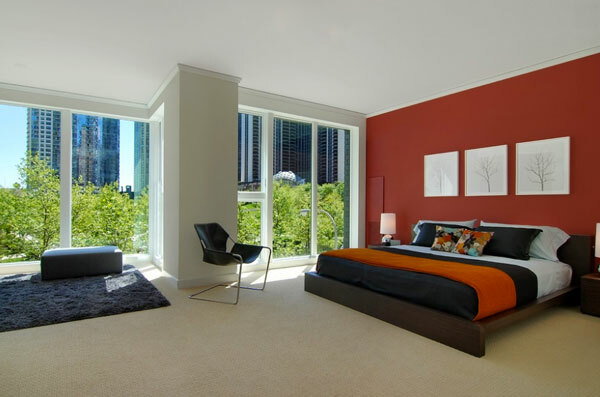 Nothing says weekend bliss like a cozy bed in a fabulously designed room that is flowing with natural light. With its beautiful ethnic tapestry, the red and white bedroom above is a good enough choice for anyone sipping on a cup of Chai! This is a shift from contemporary decor, but don’t you think it holds its own magnificence? Since we’re on the topic of ethnic prints, how about a colorful blue and yellow throw to complement the dusty rose decor? 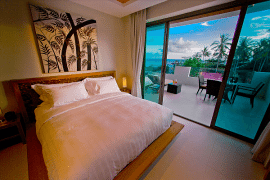 The bedroom above, with its Asian bedside table and tribal rug, can easily become a favorite among designers who enjoy culturally enriched homes. As much as we try to hide our inner Marie Antoinette, that side of us occasionally peeks out and unconsciously guides us toward interior design that takes on a Parisian affair. There’s nothing wrong with that–in fact, learn how to own it! 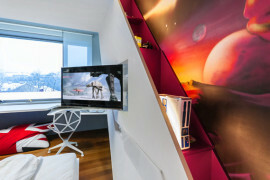 And own it you shall, especially with some modern accents added to your red and white bedroom, such as the ones below! If you like to keep your walls clean and simple, then perhaps you should dress up your windows in order to complete the picture. 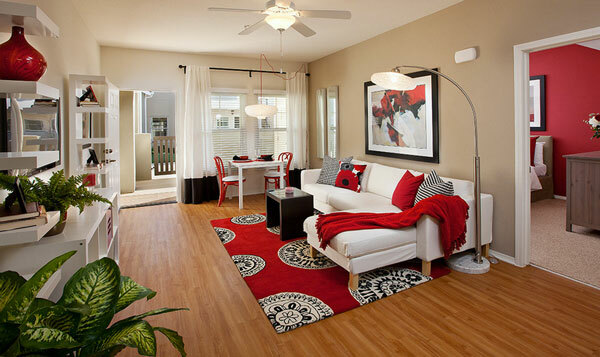 Red curtains – be it velveteen or silk – are elements that can elegantly transform any interior. Dark and dangerous, now this is what I’m talking about. 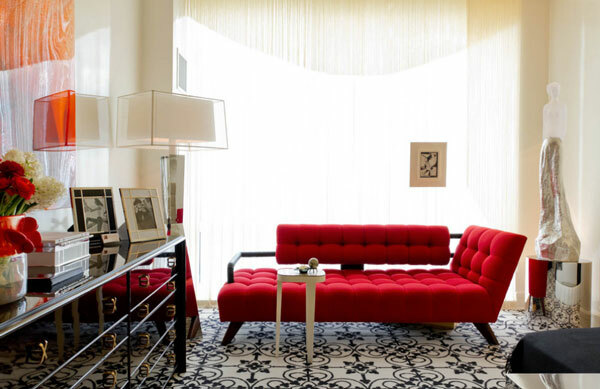 With just enough touches of red, the room above is what Valentine’s Day is all about. Have a glass of wine, some chocolate-covered strawberries, and … doze off, a perfect night indeed!